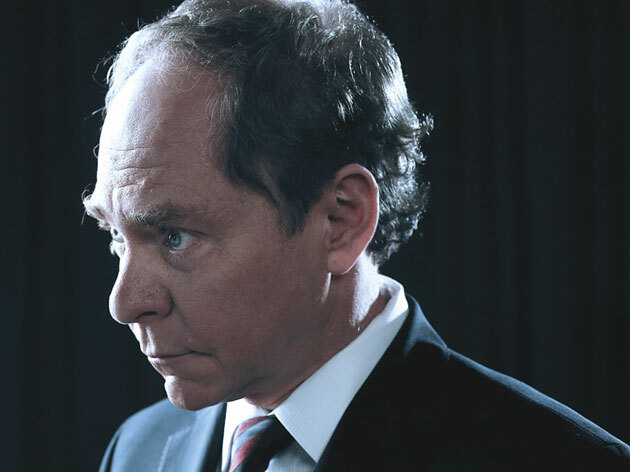 Dig Chris Jones’ profile of Teller in the latest issue of Esquire. Teller is sixty-four years old; he has been a full-time magician since 1975, but he first began performing magic tricks when he was five and had nearly died. The only child of Philadelphia artists Joe and Irene Teller, he had contracted a viral infection that blossomed into a heart ailment called myocarditis. After a long stay in the hospital, he had to spend more time recuperating at home. Luckily there was a relatively new marvel called TV to occupy him, and he watched Howdy Doody, from which he ordered the Howdy Doody Magic Kit. It included a trick with a box and two lids. When Teller opened the box on one side and showed its contents to his indulgent parents, there were six tiny Mars bars; after he’d theatrically rattled it and spun it so that he could open the opposite lid, there were only three. “This is an absolute miracle I can do with my own hands,” he says today in the present tense, as though no time has passed. Because Teller performs almost entirely without speaking, his voice, strong and certain, comes as a surprise. He speaks in prose, in long, languid paragraphs peppered with literary and historical references. (He once taught high school Latin; dissatisfied with the prescribed textbook, he wrote his own.) But his round face, particularly his eyes and mouth, continue to do much of the talking for him. He is capable of great expression with just a turn of his lips, and his eyes are big and shining. They are also quick to brim with tears. “I’m more apt to cry at something beautiful than at something sad,” he says. My twin sister and I spotted Teller on the Metro North train to Manhattan in the late ’80s (I think he lived in Irvington at the time). He was sitting behind us and we introduced ourselves–we’d loved him in Long Gone–and he was a great guy. We talked for the rest of the trip and then walked him to the theater where he was performing.